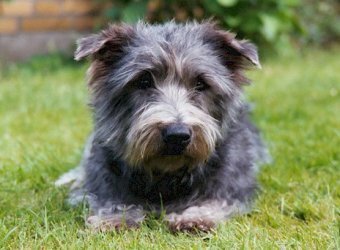 The Irish Glen of Imaal Terrier, also known as the Wicklow Terrier, has classic terrier features: a compact, long body, bowed forequarters, and turned-out feet. 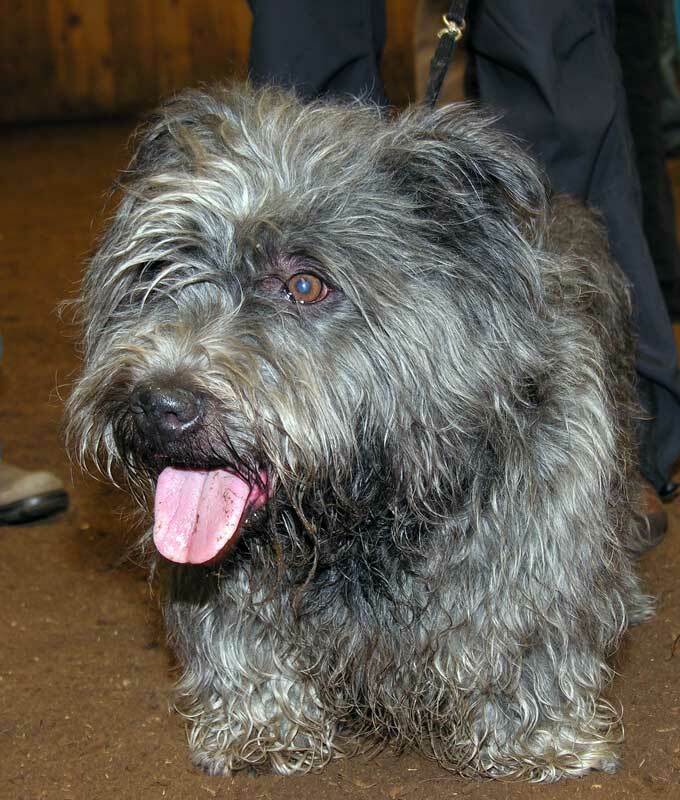 This "big dog on short legs" has a scruffy face, a broad, slightly domed skull, round eyes, black nose, small half-prick ears, a half-docked tail, and a medium-length double coat that can be brindle, blue, or wheaten color. 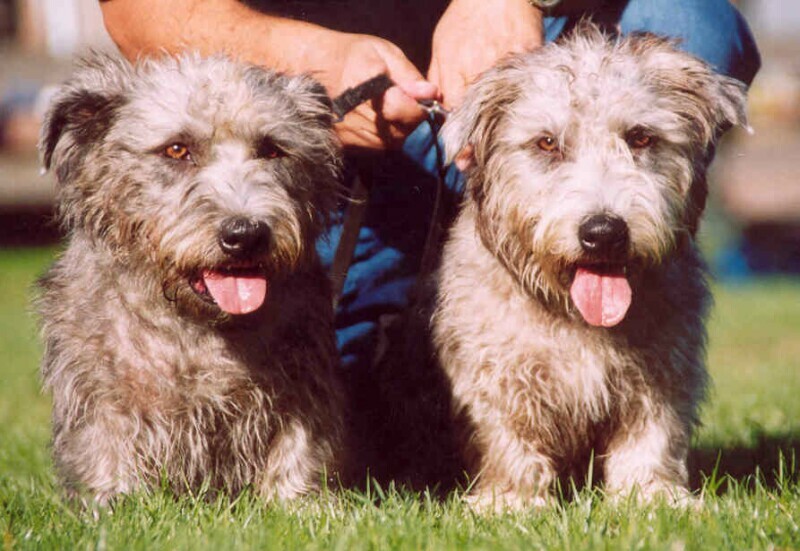 Wicklow Terriers stand 12.5 to 14 inches tall and weigh about 35 pounds. 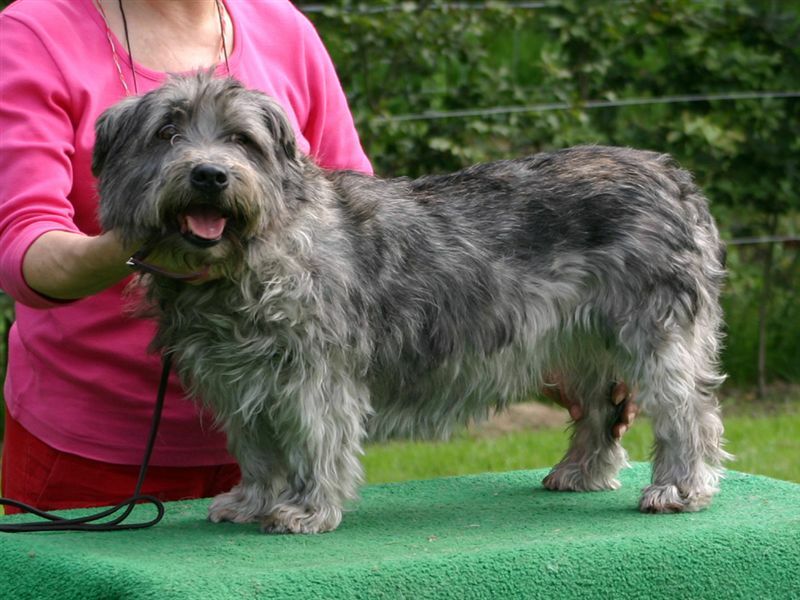 Glen of Imaal Terriers are gentle, easy-going dogs that love to be around their family. 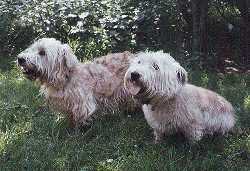 But beware: these dogs are still hunters at heart! 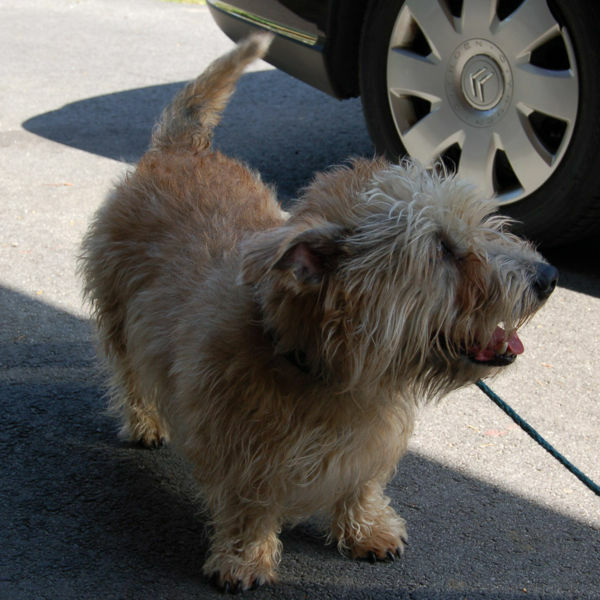 Glen of Imaal Terriers were bred in Ireland to hunt foxes, badgers, and rodents, so don't be surprised if they chase after cats and other critters in your home and backyard! 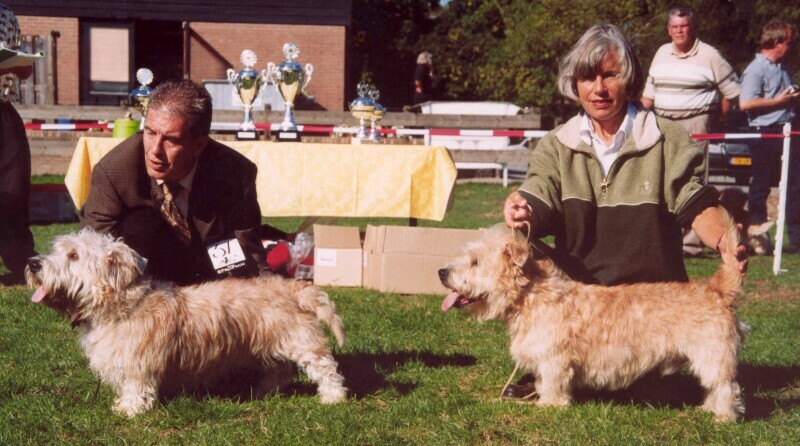 The Wicklow Terrier has an independent streak and an inclination to dig, so make sure they get plenty of exercise to burn off their energy. 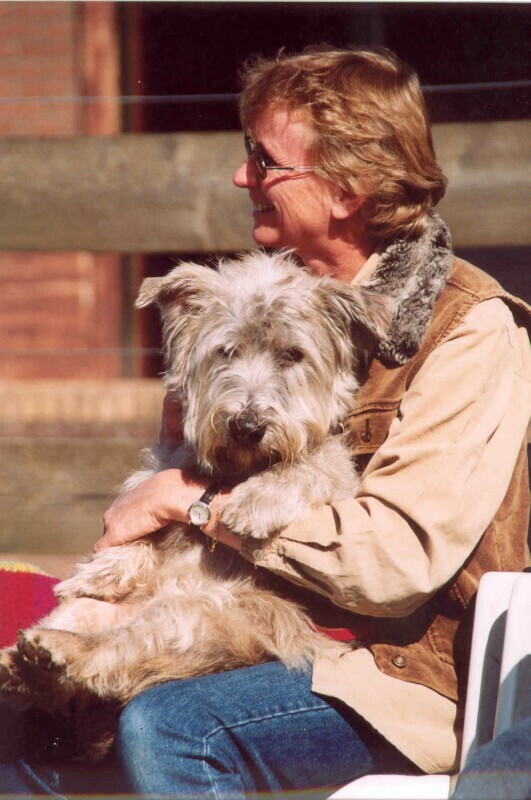 With their attentive nature and loud warning bark, Glen of Imaal Terriers make excellent watchdogs — just make sure your Glen of Imaal Terrier puppies are socialized so they learn to get along with other dogs. 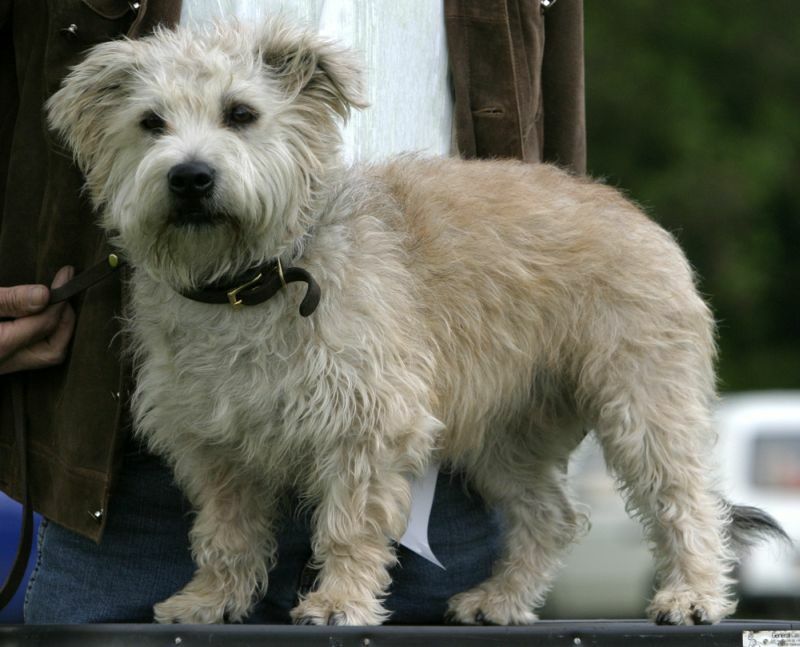 The Glen of Imaal Terrier was bred to hunt. 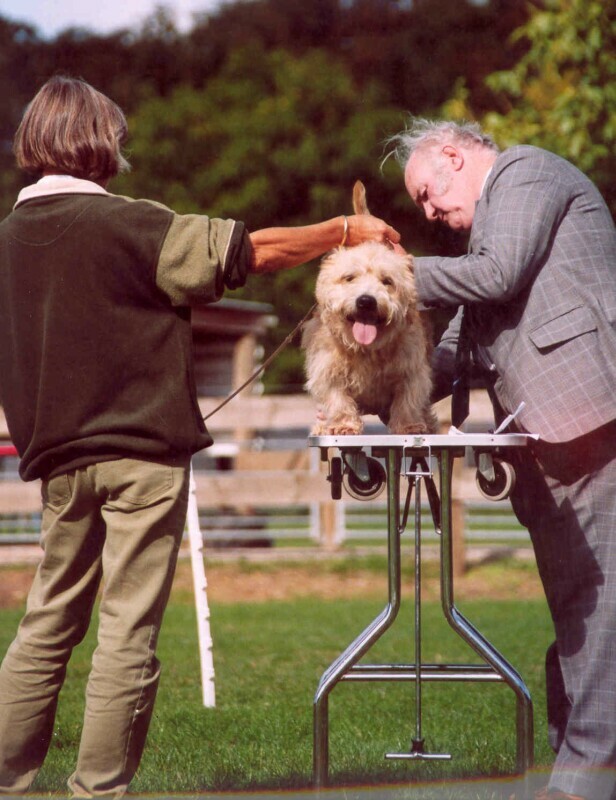 But according to Irish lore, they also worked as a spit dog — which means they worked a treadmill-like contraption to power a rotating cooking spit! 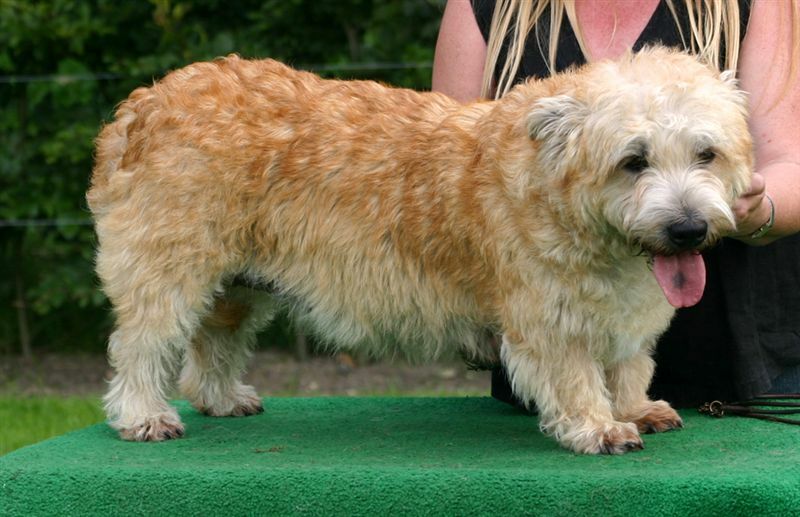 Interested in learning more about Glen of Imaal Terriers?CLICK HERE!